Exposure to bisphenol A (BPA) and other endocrine-disrupting chemicals (EDCs) may reduce levels of vitamin D in the bloodstream, according to a new study published in the Endocrine Society's Journal of Clinical Endocrinology & Metabolism. The study is the first to find an association between EDC exposure and vitamin D levels in a large group of U.S. adults. EDCs are chemicals or mixtures of chemicals that can cause adverse health effects by interfering with hormones in the body. The Society's Scientific Statement on EDCs examined more than 1,300 studies that found links between chemical exposure and health problems, including infertility, obesity, diabetes, neurological problems and hormone-related cancers. "Nearly every person on the planet is exposed to BPA and another class of endocrine-disrupting chemicals called phthalates, so the possibility that these chemicals may even slightly reduce vitamin D levels has widespread implications for public health," said the study's first author, Lauren Johns, MPH, a PhD candidate at the University of Michigan School of Public Health in Ann Arbor, MI. 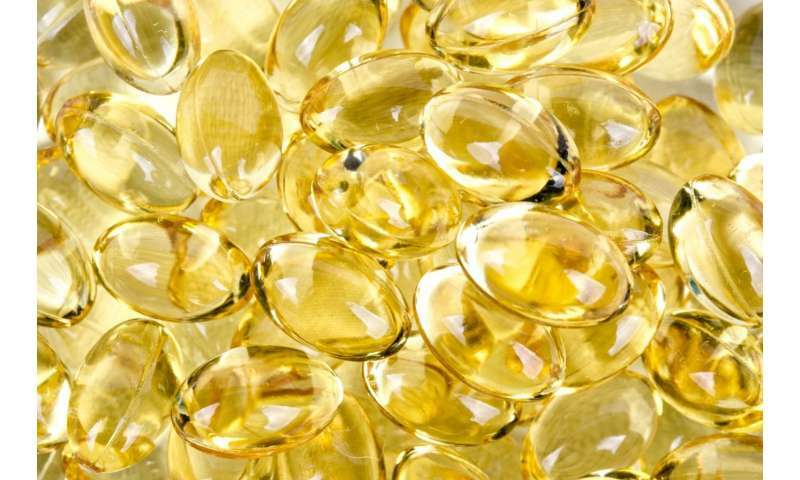 "Vitamin D plays a broad role in maintaining bone and muscle health. In addition, low vitamin D levels have been implicated in outcomes of numerous conditions such as cardiovascular disease, diabetes and cancer." EDCs are found in everyday products and throughout the environment. There are more than 85,000 manufactured chemicals, of which thousands may be EDCs. BPA, a known EDC, is often found in plastics and other consumer products. Another group of chemicals linked to hormone disruption, phthalates, are found in personal care products such as cosmetics, children's products, food packaging and medical tubing. "More research is needed into why an association exists, but it is possible that EDCs alter the active form of vitamin D in the body through some of the same mechanisms that they use to impact similar reproductive and thyroid hormones," said Professor John D. Meeker, MS, ScD, senior author of the study. "Confirmatory studies are needed to show whether this association exists in other populations." The study, "Relationships between Phthalate and Bisphenol A Concentrations and Vitamin D Levels in U.S. Adults," will be published online ahead of print.